In many of my research interviews, I talk with dads whose children battle autism, blindness, cancer, diabetes, paralysis, and other serious as well as less debilitating ailments. I am often impressed with how committed some of these dads are to help their children cope with their difficult circumstances. Of course, many dads do not or cannot adequately monitor or support their children with disabilities. Clearly, dads are not equally prepared in terms of their resources, temperament, opportunity, or motivation to assist these children. This site provides a starting point for those dads who want to nurture their children with disabilities and make a difference in their lives. Dads of Disability, a volume edited by Gary Deitz, addresses the scarcity of material for and about the perspective of fathers whose children experience a disability. The collection is focused on fathers but readers have noted how useful these stories are for all kinds of parents and caregivers. James May and Mary McGonigel. Fathers of Children with Special Needs: New Horizons. Bethesda, MD: Association for the Care of Children's Health, 1991. Web. The families of children with disabilities are critical in encouraging their children to manage their conditions and to live happy and fulfilling lives, no matter their disabilities. 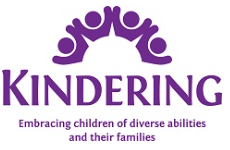 The Kindering Center, a subset of the Fatherhood Network, serves to help parents acclimate to their children's new realities and help love and support them as fully as they deserve, in addition to offering services in the northwestern United States. allows parents attempting to raise a kid with ADHD a way to address the different challenges and complexities of the condition. Autism is one of the most common developmental disorders in existence, and can represent a major hurdle for kids and parents alike to overcome. Dads can play a crucial role in helping their families navigate the limitations of this disorder and make sure that their kids have happy and healthy lives. The Cerebral Palsy Group is a national organization dedicated to helping and informing individuals and families dealing with Cerebral Palsy diagnoses. The group provides the most up-to-date information available, with the hope of helping parents and caregivers understand the disorders. ​The Cerebral Palsy Guidance provides vital guidance and assistance to parents of a child with cerebral palsy. Their extensive website has over 250 pages of information, including a wide range of associated medical conditions. They also cover lifestyle related information, from college and education to bullying and counseling. Their blog also gives an in depth look into lifestyle related information as well as the Chief Editor's personal journey.